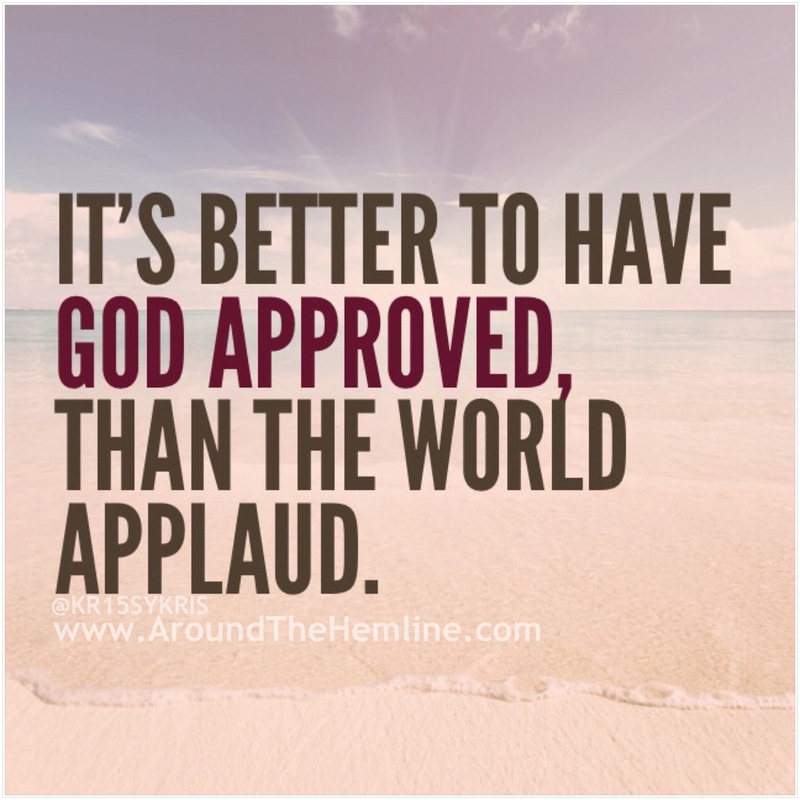 It’s better to have God approved, than have the world applaud. Lots of soul searching the last few months and I’ve finally accepted that my actions and those of others, regardless of the good intentions, aren’t always what God wants for us. I’m learning to trust God’s Plan for me even though I don’t understand the nature of the struggles and challenges he puts forth me. Nonetheless, I rather not understand and keep faith and be blessed to be on the right path.